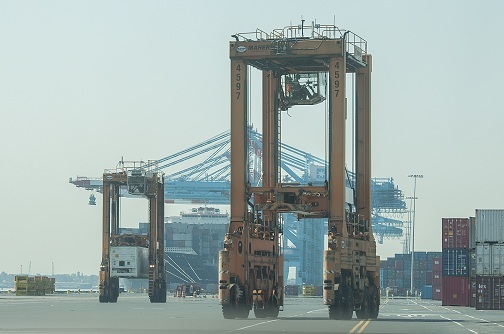 Superior Court of New Jersey, Appellate Division, Denies Reefer Mechanic Supervisorâ€™s Emergent Motion for a Stay of the Commissionâ€™s Revocation of His Registration Pending Appeal. Commission Suspends Two Port Elizabeth Foremen After Separate Arrests. Former Longshoreman Barred from Returning to Waterfront Because of Illegal Bookmaking, Selling Drugs, Associating with an Organized Crime Figure/Convicted Racketeer, and Fraud. Two Barred from Waterfront for Fraud, Deceit and Misrepresentation on their Applications. 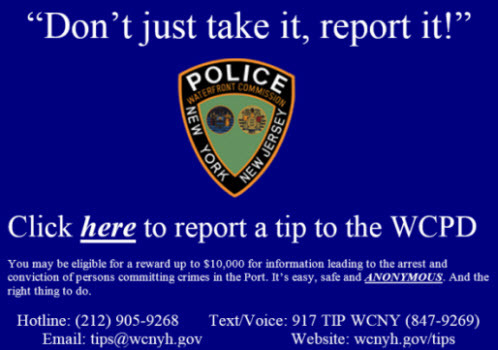 Three Barred from Waterfront for Fraud, Deceit and Misrepresentations on Their Applications. Warehouseman Suspended After Arrest for Aggravated Sexual Assault on a Child. 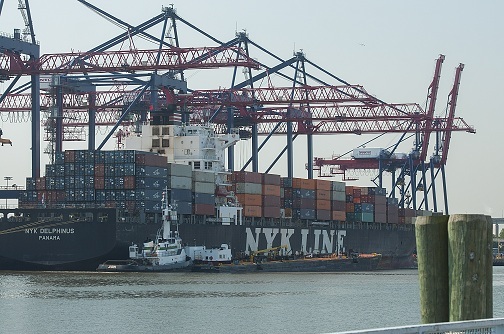 New York Shipping Association And International Longshoremen's Association Continue To Disadvantage Veterans In Their Referral And Hiring Practices. New York Shipping Association and International LongshoremenÂ’s Association Continues to Mislead the Public Regarding Hiring Delays. Suspended Longshoreman Pleads Guilty to Promoting Gambling. Brooklyn Woman Sentenced to More than 21 Years in Prison for Shipment of More than $2.5 Million Worth of Stolen Luxury Vehicles to Africa. Commission Denies LongshoremanÂ’s Request for Re-instatement after He Presents Forged DoctorÂ’s Notes and Commits Fraud in Interview. Twenty-Nine Charged in Takedown of International Carjacking/Theft Ring That Trafficked High-End Cars From New Jersey & New York to West Africa. DA Dan Donovan announces the takedown of an insurance fraud ring involving medical professionals and longshoreman. 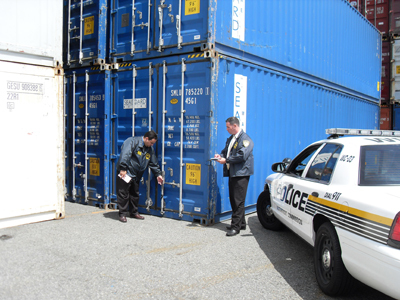 Â“Operation ShorethingÂ” Results in Arrests and Suspensions of Five Longshoremen in Pill Mill, Insurance Fraud and Gambling Rings. Maintenance Man's Registration Revoked for Refusal to Take Commission-Ordered Drug Test. Commission Denies Request for Reinstatement of Checker who Sold Oxycodone, Purchased Drugs from a Longshoreman, Abused Oxycodone Prescriptions, Used Heroin, and Committed Frauds. Checker Surrenders Registration with Prejudice Following Charges that He Refused to Answer Material Questions While on Probation for Cocaine Use and Committed Frauds by Failing to Disclose Associations with Members and Associates of Organized Crime. Statement of the Waterfront Commission of New York Harbor in Response to Press Release by NYSA and ILA Regarding Lawsuit Filed. 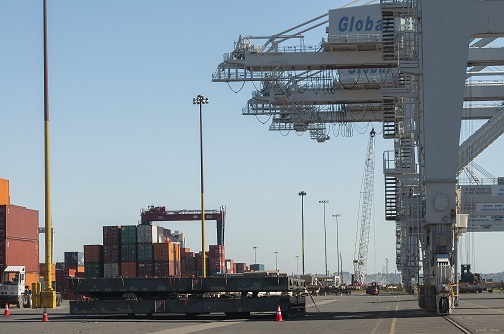 U.S. District Court Issues Declaration in Favor of the Commission and Dismisses Complaint Filed by Continental Terminals, Inc.
Longshoreman Removed From Waterfront After Plea in Gambling Case. Port Watchman Suspended by Commission Action after Indictment for Aggravated Manslaughter. 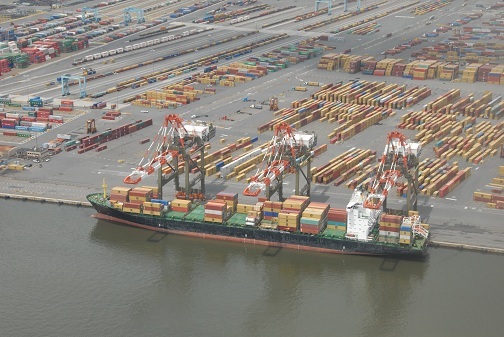 Longshoreman Sentenced to Prison on Federal Weapons Conviction. New York State Supreme Court, Appellate Division Upholds Commission's Revocation of Special Craft Longshoreman's Registration. Checker Revoked by the Waterfront Commission for Impersonation of a Commission Employee, Violating a Restraining Order, Lying Under Oath, and Failing to Notify the Commission of Arrests. Checker Pleads Guilty to Conspiracy to Defraud in Federal Court. Florida Fugitive from Justice Arrested on Multiple Charges. Former Police Officer and Organized Crime Associate Arrested for Extortion. Former Fugitive Makes Initial Court Appearance on Narcotics and Firearms Smuggling Case. 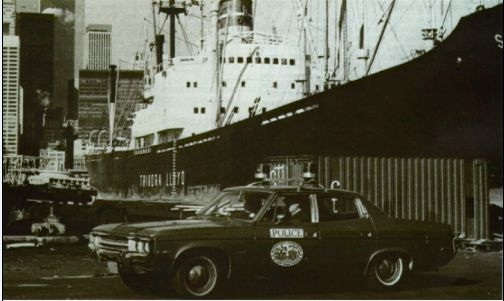 New York State Supreme Court Upholds CommissionÂ’s Denial of LongshoremanÂ’s Petition for Restoration of Registration. Former Secretary Treasurer of ILA Local 1233 Pleads Guilty to Embezzling Union Funds in Federal Court. Former Checker Highlighted in the CommissionÂ’s Public Hearings for his No-Show Job and Mob Ties Sentenced to Federal Prison for Extortion Conspiracy. Pier Superintendent Sentenced on Federal Gambling Conviction. Longshoreman Suspended by Commission Action after Arrest for Unlawful Possession of a Loaded Handgun. Checker Revoked by the Waterfront Commission for Promoting Gambling on Behalf of the DeCavalcante Crime Family. Three Arrested on Money Laundering Charges. Eight People Charged With Cargo Theft In Million-Dollar Cigarette Heist. Two Stolen Dump Trucks Recovered Before Export. 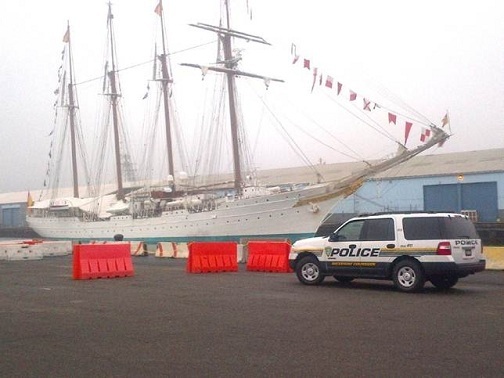 Two Arrested in Cargo Theft Investigation by Waterfront Commission and Railroad Police. Longshoreman Sentenced to 15 Years in Prison for Role in Cocaine Smuggling through the Port. New York State Supreme Court Denies LongshoremanÂ’s Petition for Temporary Restraining Order. Ports America Hiring Agent Removed from Waterfront for Associating with Members of the Genovese Family. Contractor Indicted for Embezzlement from ILA Local 1233. Superior Court of New Jersey, Appellate Division, Denies LongshoremanÂ’s Emergent Motion for a Stay of the CommissionÂ’s Revocation of His Registration Pending Appeal. Former Checker Pleads Guilty To Forgery and Tampering with Public Records. Three charged with Narcotics Trafficking and $13 Million Worth of Cocaine Seized. Longshoreman Indicted for Multiple Counts of Perjury Suspended by Commission. Longshoreman Arrested on Perjury Indictment. 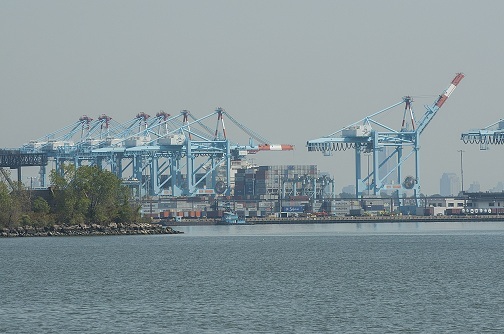 New Jersey Superior Court Denies Longshoreman's Motion to Quash Waterfront Commission Subpoena. Cleaning Company and its Owner Removed from Waterfront for Employing Unregistered Labor. Special Craft LongshoremanÂ’s Registration Revoked. Longshoreman Suspended by Commission Action after Arrest for Assault by Auto. Longshoreman Suspended by Commission Action after His Arrest for Possession of Cocaine and Heroin. Pier Superintendent Pleads Guilty to Federal Gambling Charge. Maintenance Man Suspended by Commission Action After Arrest for Eight Counts of Assault in the Second Degree and Driving While Intoxicated. Warehouseman Suspended by Commission Action After Arrest for Misconduct by a Corporate Official, Conspiracy to Commit Theft by Deception and Other Charges. Longshoreman Suspended by Commission Action After his Arrest for Conspiracy to Distribute an Imitation Controlled Dangerous Substance. Nineteen Charged in Connection with the Exportation of Stolen Automobiles. Genovese Capo and Associates Among 14 Charged in Racketeering Conspiracy. Former Checker Highlighted in the CommissionÂ’s Public Hearings for his No-Show Job and Mob Ties Pleads Guilty in Federal Court. New Jersey Superior Court Appellate Division Affirms Waterfront CommissionÂ’s Revocation of WarehousemanÂ’s Registration. Former Secretary Treasurer of Local 1233 Indicted for 37 Counts of Embezzlement from the Union. Nearly 25 Pounds of Cocaine Seized from Container at Red Hook Terminal. Longshoreman Suspended by Commission After Arrest for Assault by Auto. Checker Suspended by Commission After Arrest for Unlawful Possession of Cocaine and Prescription Drugs. Longshoreman Surrenders Registration with Prejudice After Conviction for Promoting Gambling on Behalf of the Gambino Family. New Jersey Superior Court Appellate Division Affirms Waterfront CommissionÂ’s Denial of LongshoremanÂ’s Re-Application. Waterfront Commission's Special Report on Public Hearings Released. 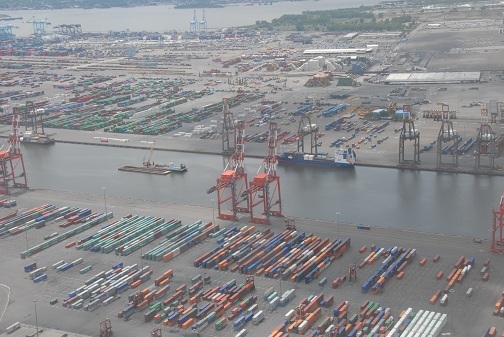 Longshoreman Pleads Guilty to Obstruction of Justice in Federal Court. 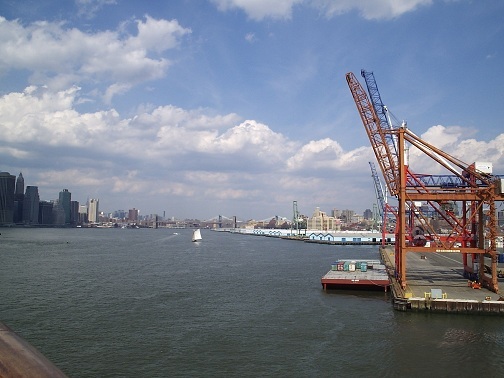 New Jersey Superior Court, Appellate Division, Upholds Waterfront Commission Subpoena of Longshoreman. Longshoreman Pleads Guilty to Promoting Gambling on Behalf of the Gambino Family. Contractor Arrested for Stealing More than $100,000 from ILA Local 1233. Genovese Capo's Racketeering Conviction for Extortion of ILA Local 1235 and Sentence Affirmed by the United States Court of Appeals for the Second Circuit. Genovese Soldier Sentenced to Five Years in Prison and Fined $57,500.00 in Port Loan Sharking Case. Third Circuit Court of Appeals Affirms Dismissal of NYSA's Complaint Against Commission for IPSIG Program. Former Checker Arrested after Presenting Fraudulent Waterfront Commission Letter to Federal Credit Union. 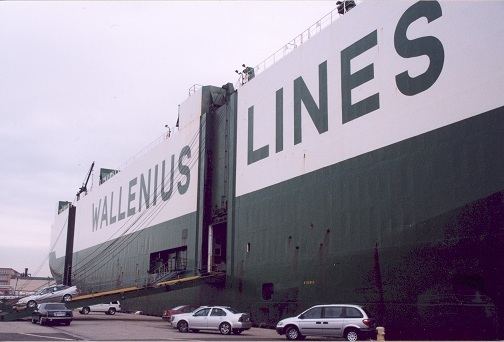 Former Longshoreman Convicted of Criminal Possession of a Forged Instrument. New York State Supreme Court Upholds Commission's Revocation of Special Craft Longshoreman's Registration. Pier Superintendant Indicted for Conspiracy and Illegal Gambling - Bookmaking.